← Is NetApp a Sinking Ship? Zerowait’s NetApp Support is a Winner! To win in the racing business, you need reliable equipment and a great support team. 20 years ago, when NetApp was focused on departmental storage and smaller customers to build their business, they had the best support team in storage. Over the years, as their focus shifted to Enterprise and Global accounts, NetApp reduced its field service engineering headcount and their customers started calling Zerowait for support of their Filers. Storage support and optimization is like winning races, both require the edge provided by experienced engineers, and Zerowait’s support team has been working with NetApp equipment for 20 years. Our dedicated service and support team is recognized as the best in the business. Whether you are looking for outstanding support, transferable licensed systems, or help with a custom-tailored storage solution Zerowait has the answer and technical support to help you win your race. Do you want to win the storage race? Do you need more horsepower for your on-premises storage requirements? Check out our specials for this month! ONE — Need a Top Notch Pit Crew? CDOTSpecial: Start any new support contract for a NetApp CDOT system and get 15% off annual pricing. Applies to old and new customers. New system contracts only. TWO – Do You Need a Faster Car? THREE – Ready to Move Up a Class? 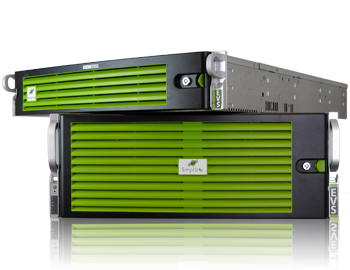 675TB SimplStor Linux Server – $69,995: This 4U server offers 4x480GB SSD caching block plus 56x12TB SAS drives for Optimum Performance and Density. Need more storage? Add a 90-bay JBOD for 1080TB more! Vertical loading chassis means no dual-drive tray hassle.